Developments and scenarios ahead: The Brexit deal defeat in Parliament was expected, but the size of the loss was not – the result of 432 votes against versus 202 for was quite a surprise. In light of the larger-than-expected scale of the defeat, we have revised upward the probability of a no-deal Brexit (20% vs. 15% previously). Overall, our most likely scenario remains that the Brexit deadline arrives with a ratified deal (50% probability vs. 60% previously). Note that this probability covers possible “off-the-shelf” deals that are softer than the November UK/EU agreement and may now come with a short-term Article 50 extension. Conversely, we have revised upward the probability of “prolonged uncertainty” (30% vs. 25% previously), which covers scenarios where the uncertainty would extend well beyond March 2019. 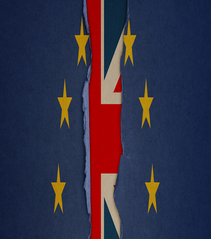 Importantly, it includes the possibility of a new referendum and other scenarios of extended negotiations (including after new elections), implying a long extension of Article 50 or its unilateral revocation by the UK. 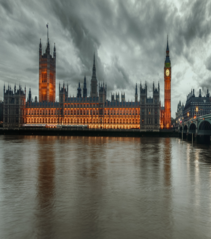 Investment views: Financial markets have absorbed the result quite smoothly, signalling that the result from the UK parliament had largely been anticipated and priced in. However, as uncertainty around Brexit’s potential outcomes remains high, we will continue to be cautious on sterling and gilts until there is greater clarity. We maintain a negative view on the UK equity market, especially UK domestic names, as we see no clear path for a seamless exit at this point. We believe investors should find some opportunities at the single stock level in the European equity market, whereby recent market moves have opened up some good valuation cases. With uncertainty and volatility likely to persist in the near term, we believe that investors should favour a balanced approach and seek to take advantage by adding good quality companies at more compelling valuations. 1.What are the key takeaways of the parliamentary vote on the Brexit deal? Tristan Perrier: While parliament’s rejection of the EU/UK Brexit deal was widely expected, its scale was not – more than one-third of the Conservative MPs defied Prime Minister Theresa May, together with almost all of the opposition MPs (a total of 432 against vs. 202 for). Within May’s majority, opposition to the deal was largely related to its ‘Irish backstop’ provision. Tory Brexiteers fear this backstop could tie the UK into a customs union with the EU indefinitely, while the Northern Irish Democratic Unionist Party (DUP) sees it as potentially introducing regulatory differences between Northern Ireland and the rest of the UK. Opposition parties, for their part, want a softer Brexit (or no Brexit at all) but a major reason the Labour Party opposed the deal was its hope that the situation would trigger new elections. However, the day after the vote on the Brexit deal, a no-confidence vote triggered by the Labour Party against the government failed (by 306 to 325). This makes the prospect of new elections less likely, although not impossible as there could be other no-confidence votes in coming weeks. The vote has increased the probability of an “off-the-shelf” deal. 2. How does this vote change your Brexit outcome scenarios? Tristan Perrier: Due to the large scale of the ratification defeat, it will be more difficult than initially thought for May to secure support from enough MPs later on to back the deal at a second vote, possibly after minor concessions from the EU. A no-deal Brexit becomes therefore slightly more probable (20% vs. 15% previously), although still unlikely due to the clear opposition of parliament to such an outcome and its probable ability to block it. Conversely, the probability of different (and softer) deals has also increased, as May (or the UK parliament on its own initiative) will explore possibilities to broker a cross-party agreement on an “off the shelf” solution, such as a Norway-type regime plus a customs union. While it will be very difficult to get MPs from opposing parties to work together, it could still be possible and, should it succeed, the EU would probably agree to such a deal. Taking into account the reduced probability that the November deal could still be ratified and the increased probability of an “off-the-shelf” deal, we now consider that there is a 50% probability of a deal by the end of March (vs. 60% previously). Note, however, that this would now probably require a short-term extension of Article 50, which the EU would probably agree. The remaining 30% probability covers scenarios where uncertainty would extend well beyond March 2019. Importantly, it includes the possibility of a new referendum (15% vs. 10% previously), although the outcome of this referendum is very uncertain. Within this 30% “prolonged uncertainty” probability, there are also other scenarios, the first being extended negotiations (including after new elections), implying an extension of Article 50 beyond H1 2019, the second, less likely, scenario is the unilateral revocation of Article 50 by the UK. We have slightly increased the probability of no deal. 3. What will be the next steps until 29 March and after? Tristan Perrier: The probability of an Article 50 extension (be it long or short) has increased and the March 29 date now appears less carved in stone. In a “deal” scenario, after the Brexit date the UK will remain (temporarily or indefinitely, depending on the deal) in the EU single market and in a customs union. If it is the current May deal, then negotiations can start, as planned, on the detailed trade framework that will govern EU/UK trade relations after the transition period (i.e., after end-2020, although this could be extended). In a “no deal” scenario, key questions will be whether mitigation measures and gradual steps (“managed no-deal”) can be agreed to smooth the transition into the new regime. The EU and the UK will also start negotiations with a view to reaching a comprehensive free trade deal. In a prolonged uncertainty scenario, the spring of 2019 could be dominated by the campaign for a new referendum, new elections and/or a rethink of the British negotiating position. Markets have absorbed the result relatively well, but we remain cautious on UK assets. 4. How to read market reactions to the parliamentary vote? Chris Morris: Markets have absorbed the result relatively well. The government’s deal being voted down had largely been anticipated and priced in. GBP/USD sold off a little as the scale of the defeat became clear, but rapidly bounced back after May made clear she will not resign (yet) and that the government is now seeking compromise solutions. Gilts are trading well as the market recognises that the vote has changed little in terms of economic fundamentals, and data continue to come in soft. UK equities appear also to have weathered the vote well. The domestically oriented FTSE 250 has traded broadly flat. The speed of the rebound in sterling after the vote offers some reassurance that the downside risks from here are limited. 5. How does this result change your view on UK rates and GBP? 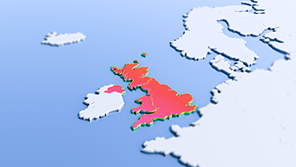 Chris Morris: We remain cautious on UK assets in general until there is greater clarity. The next few weeks will be crucial as the government explores potential softer Brexit solutions. Importantly for the market, this will take time, so it is almost inevitable that the March 29 deadline will have to be postponed. This is seen as positive as it will provide time for cooling off and to rebuild a consensus. The bringing of the vote of no confidence in the government is largely symbolic as the UK’s Fixed-term Parliaments Act means that, so long as the government can gather enough support to vote down such a motion, there will be no UK General Election until May 2022. Uncertainty continues to weigh on the economy, and tensions will likely remain high as the various options are explored and as the March 29 date nears. This is likely to keep the Bank of England on the defensive side. The speed of the rebound in sterling after the vote suggests that market positioning is short, offering some reassurance that the downside risks from here are limited. 6. 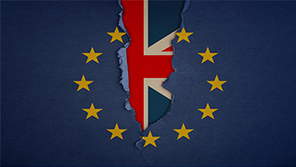 How do you think UK and European equity markets will react to further uncertainty regarding Brexit? Kasper Elmgreen: Market reaction was quite muted yesterday morning, signalling that the result from the UK parliament was largely expected. That said, the failure of May to successfully negotiate an amicable deal will likely result in more near-term volatility as further news flow emerges in the coming days. From a European equity perspective, we have maintained a negative view on the UK market, especially UK domestic names, following the Brexit result in 2016. This view remains true today as we see no clear path for a seamless exit at this point. We believe investors should find some opportunities at the single stock level, whereby recent market moves have opened up some good valuation cases. We maintain a negative view on the UK equity market, while some very good opportunities have emerged in the EU markets at the single stock level. 7. From an investment perspective, how should European equity investors navigate this phase of political uncertainty? Kasper Elmgreen: Looking at the market moves that we saw during the final quarter of 2018, we believe that a significant amount of negative sentiment is priced in at this point. As a reminder, the MSCI Europe was trading at 15x earnings this time last year, while today it trades at 12x. In addition, the de-rating has been particularly aggressive in some of the more pro-cyclical areas such as autos, capital goods and energy. While the political risk on the horizon is real, and should not be underestimated, we believe that some very interesting stock level opportunities have emerged in recent months. With uncertainty and volatility likely to persist in the near term, we believe that a balanced approach is important. We believe investors should not be overly exposed to any macro drivers. Instead, we would seek to take advantage of periods of volatility to add to good quality companies at more compelling valuations.